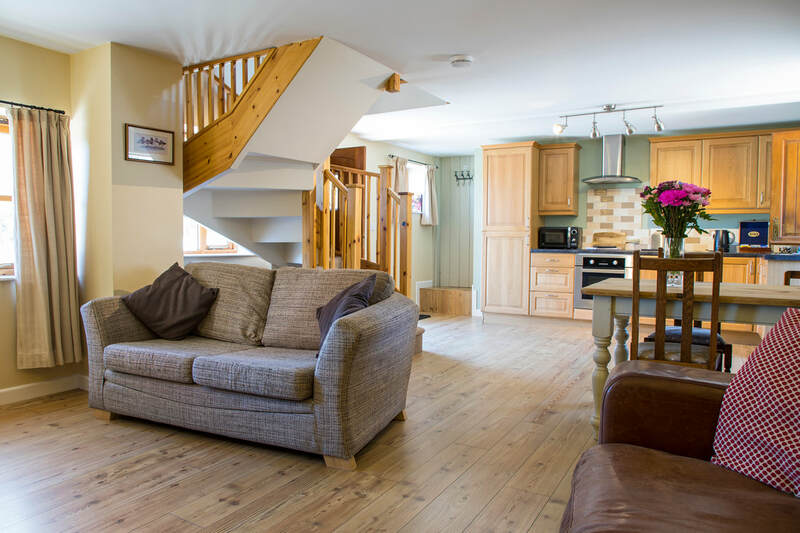 Owl Cottage is a beautifully converted two bedroomed holiday cottage with spectacular views, sleeping four in comfort. The cottage is well equipped for you to enjoy both short breaks and longer holidays with all the comforts you would expect at home. Downstairs, the open plan living/dining/kitchen area has comfy sofas to sink into, a fireplace to enjoy in the evenings, a dining table seating four, TV,DVD player, WiFi, underfloor heating and a well equipped kitchen area with oven, hob, dishwasher, washing machine, fridge freezer and microwave. Upstairs there are two bedrooms. The first is a double with exposed beams and stunning dual aspect views over the Dee Valley, Castell Dinas Bran and Llantysilio mountain. 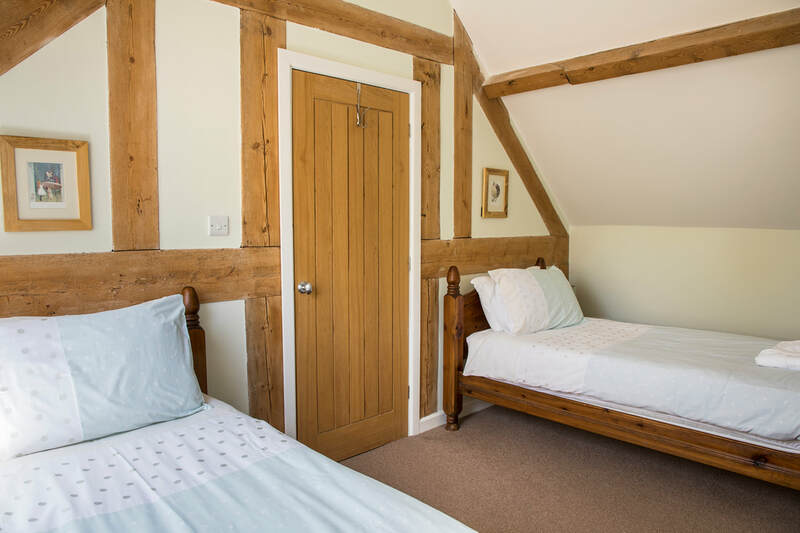 The second bedroom is a twin room with exposed beams enjoying picturesque views down the valley to the mountains. There is a large shower room with spacious corner shower cubicle and exposed beams. Outside there is a private enclosed courtyard area with furniture to enjoy long lazy evenings taking in the spectacular sunsets over the valley. Towels and bed linen are provided at no extra charge. We also provide a free welcome pack for all guests containing essential basic provisions plus some locally sourced luxuries for a little bit of indulgence. Owl Cottage can accommodate one well behaved dog. Doggy towels and bowls can be provided at no extra charge, just request them when booking. 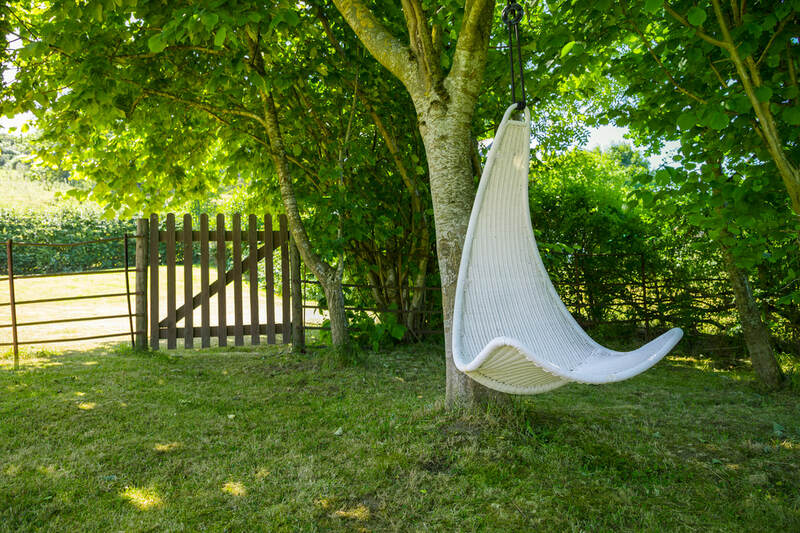 As the cottage is situated in an area surrounded by working farms and livestock we politely ask that dogs are kept on a lead when exploring outside the farm and that guests stick to public footpaths, lanes and bridleways to explore this stunning corner of Wales. There is generous parking outside the cottage. If you wish to bring more than one vehicle it's no problem, but please do tell us at the time of booking.